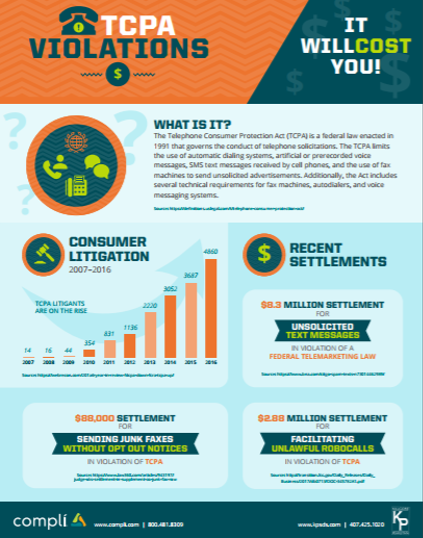 Litigation is on the rise, don't roll the dice when it comes to the TCPA. Many in the business community have choice words about the Telephone Consumer Protection Act (TCPA). But like it or not, it's on the books and actively enforced with stiff penalties. in the past 10 years? No really, that's not a typo! Second, download this cheat sheet. Compli teamed up with Michael Semanie, Partner with the law firm Killgore Pearlman to create this helpful TCPA cheat sheet. 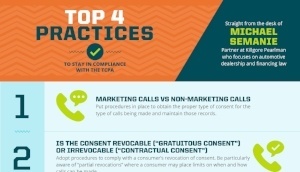 Download the TCPA Violations Cheat Sheet. Probably not. If you want to stay in business that is. Learn the top 4 tips to stay in compliance with the Telephone Consumer Protection Act. And no, simply hiring a separate company to make your consumer calls probably won't insulate you. Download the TCPA Violations Cheat Sheet Now.